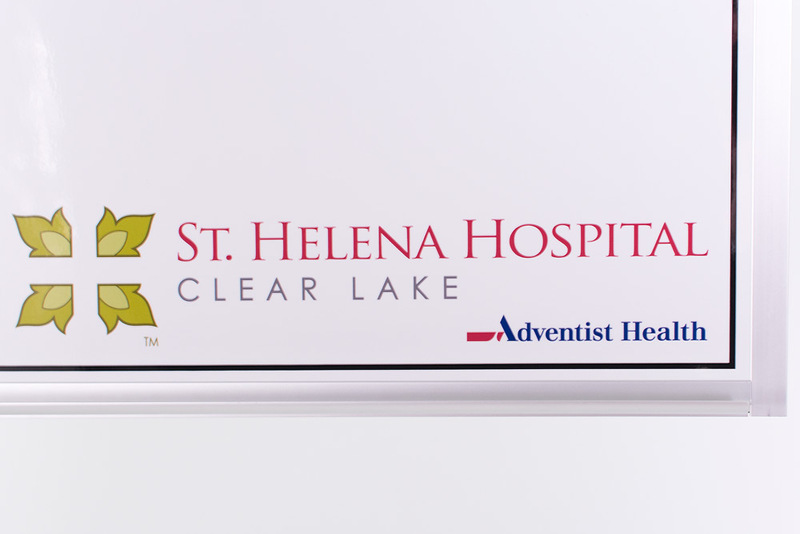 OptiMA's OptiPrint® printed custom whiteboards give you the ability to put almost anything that you can think of on a clean, crisp dry erase board. 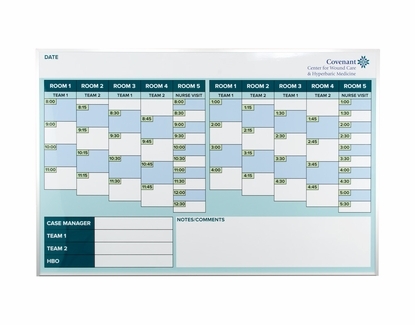 OptiPrint® non-magnetic custom printed dry erase boards are perfect for hospitals, patient rooms, manufacturing or production, coaches, sales and much more. 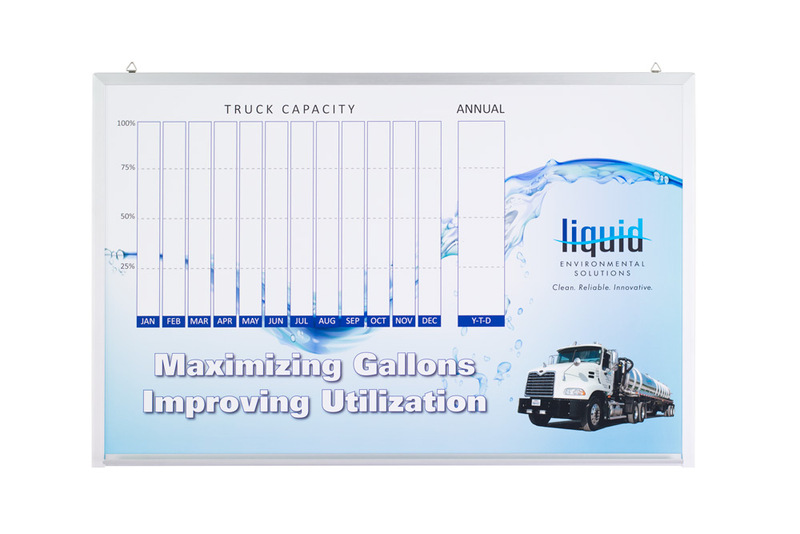 These custom whiteboards are non-magnetic meaning that you cannot use any type of magnet or magnetic accessory with these boards. 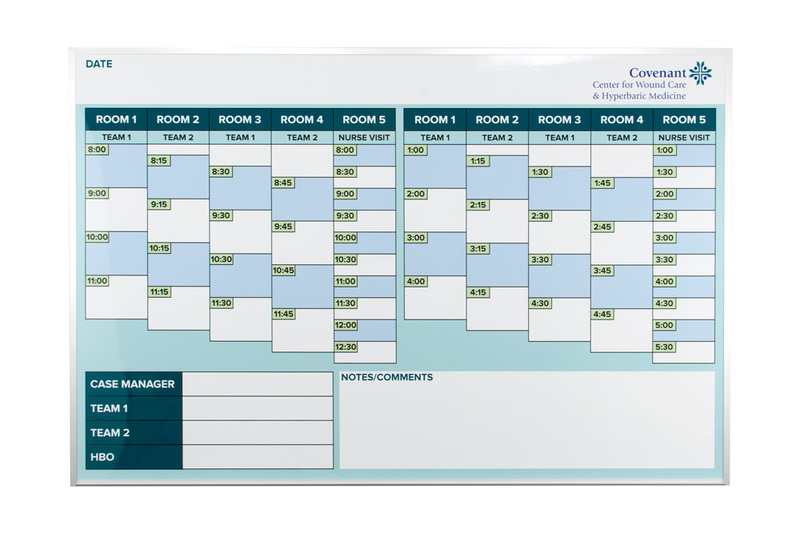 We do have custom magnetic boards available but there are many times when you don't need this function so why pay for it. 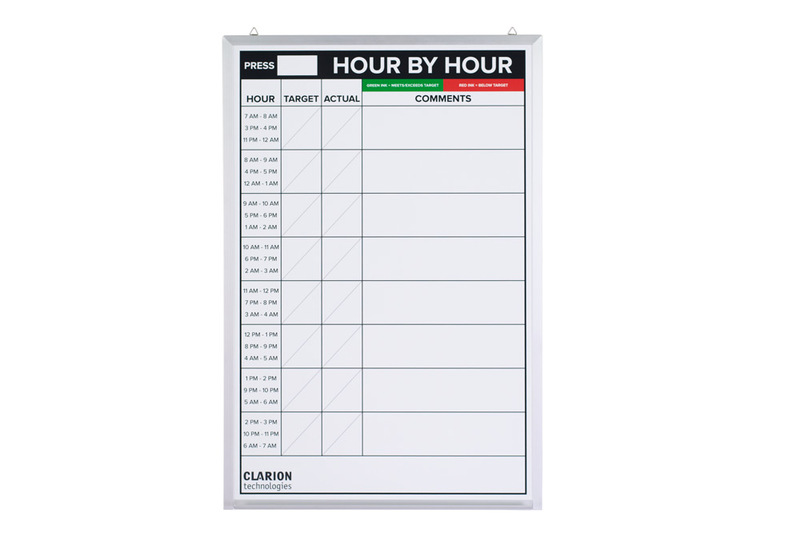 These handcrafted boards have the exact same dry erase writing surface. You can still select either full-color or black and white. You pay less for them since they're not magnetic receptive. 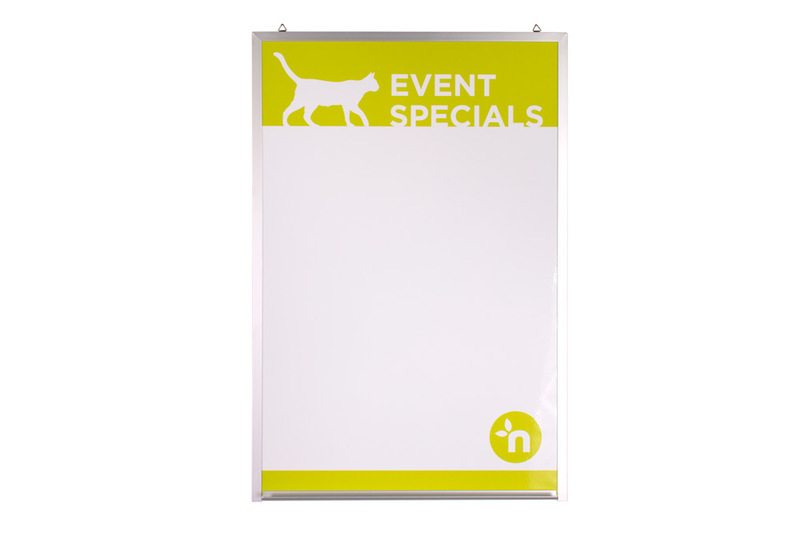 Please note that all of our custom printed dry erase boards Do Not qualify for our Free shipping program. Tip: It is not recommended to clean these boards with anything containing ammonia which is found in many glass cleaners. 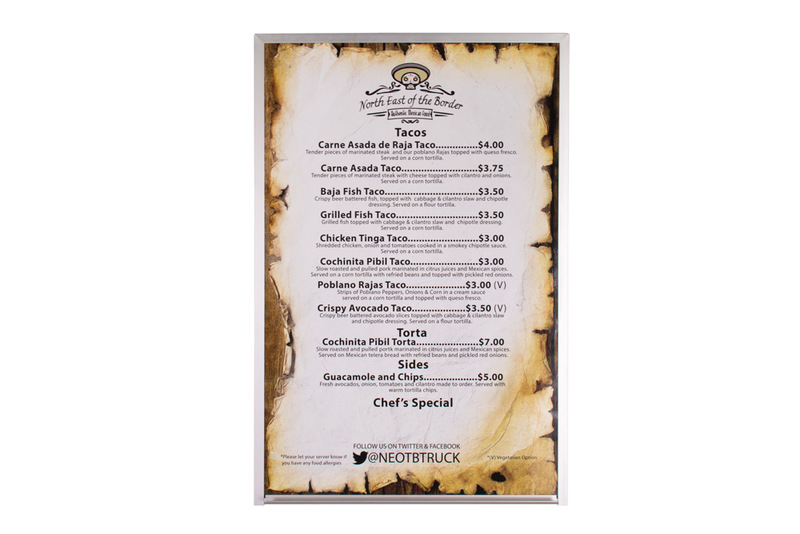 Non-Magnetic Receptive - You can not use magnets with these boards. Any standard size can be reversed. I haven't used it yet but I love our custom whiteboard. We created a scoreboard for a dice game and it came out perfectly. The item took a beating during shipping and they shipped us a new one very quickly. Would highly recommend. Stacy was extremely helpful, in fact I need to order two more! They were very easy to work with, even interacted with a real person! Job was quick and perfect.